How true! 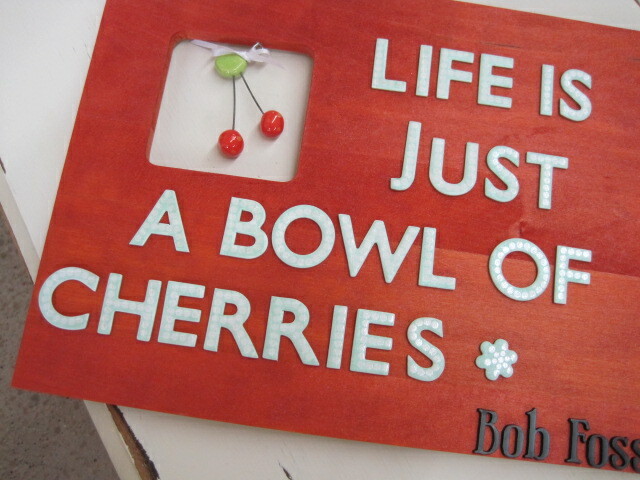 And if you love cherries, like I do, you find that life is great. I love our wood pieces with the silhouette cut-outs. 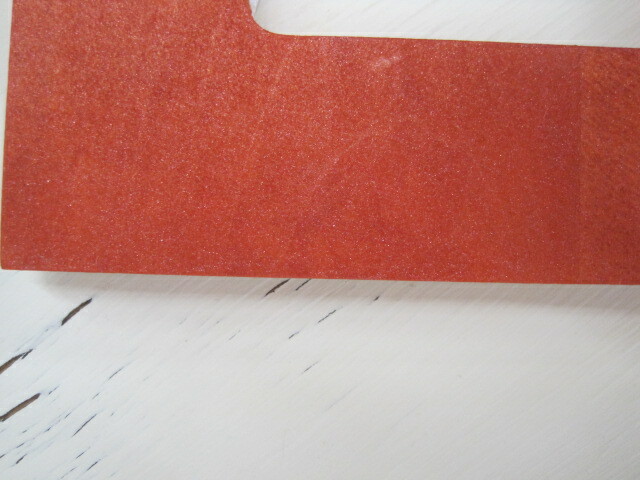 They are fun to use with photos, embellishments or any added features. 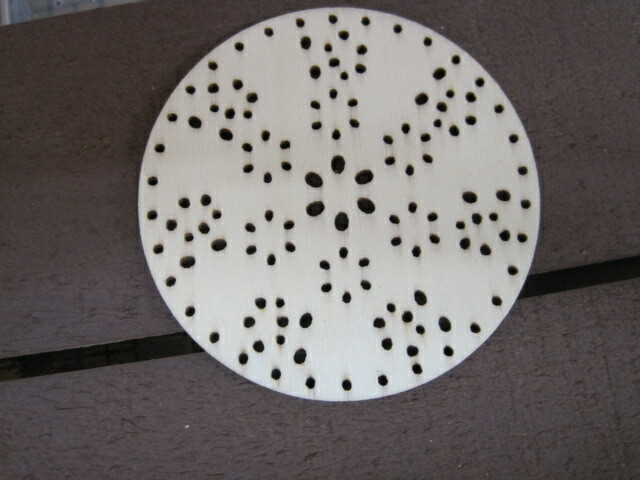 And this particular project was so simple and quick – again adding to the delight for the finished piece. So, let’s get started. 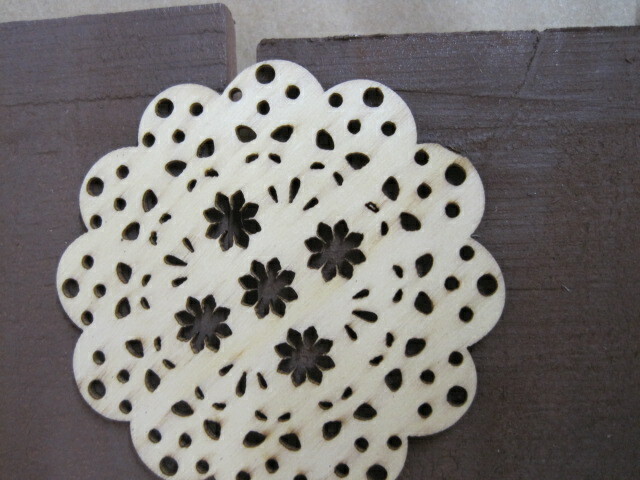 I misted the entire wood piece with Tattered Angels® Glimmer Mist Marmalade: http://mytatteredangels.com . 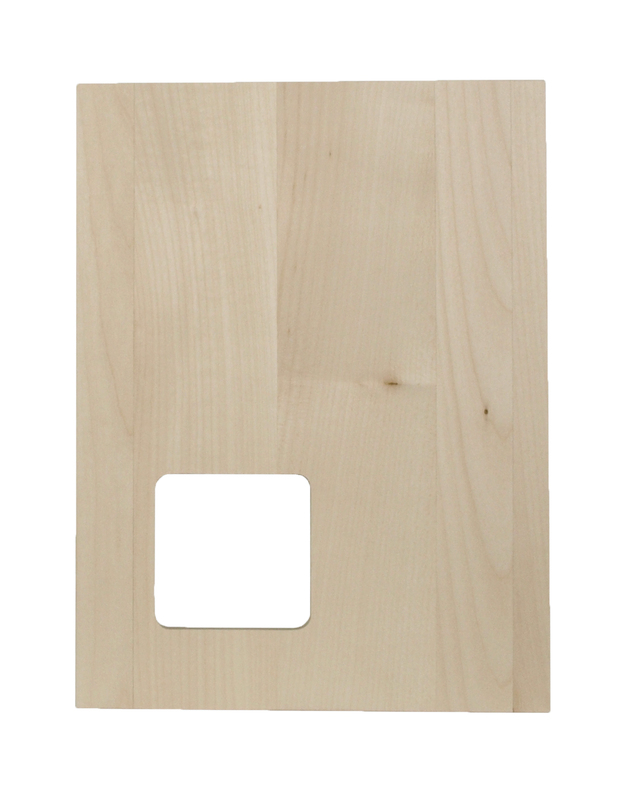 No need to seal the wood first, just mist and wait for it to quickly dry. 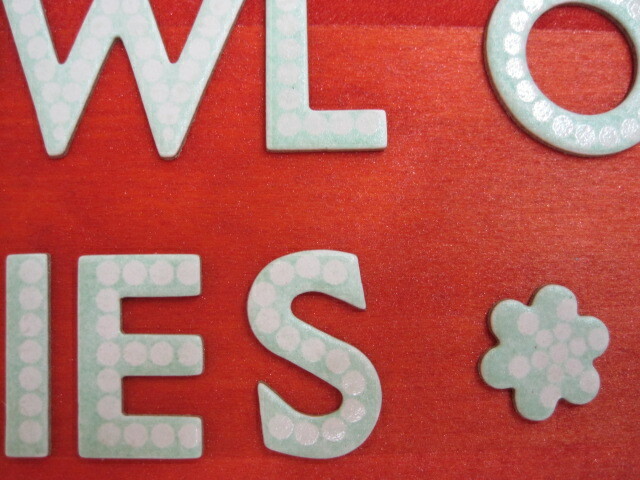 Next I choose the letters from the Color Magic chipboard sticker letters by Heidi Swapp to spell the quote. Rather than misting the letters with Tattered Angels Glimmer Mist, Trunk Bay, I gently shook the bottle from side to side to distribute the “glimmer” and brushed with letters with a medium flat brush. 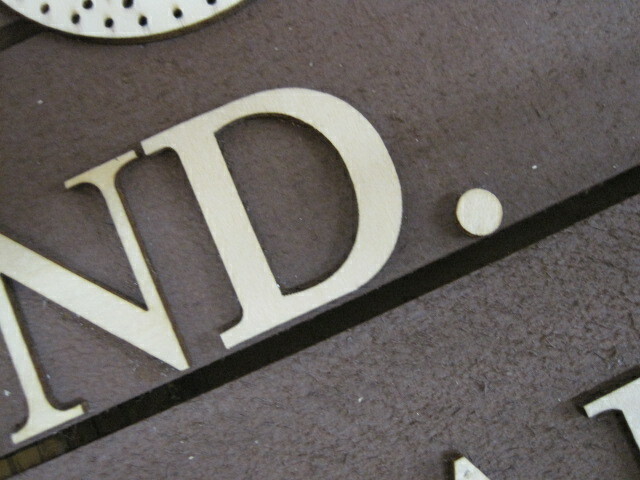 Once the letters were dry, I peeled them off the sheet and placed them on the dry Silhouette wood piece. 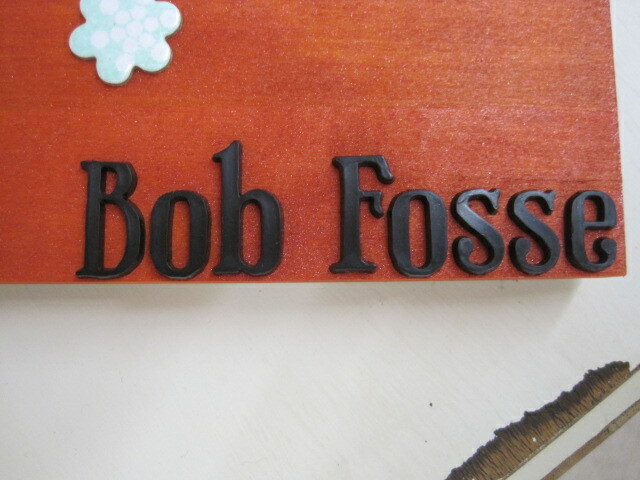 I added the name of the author of the quote – Bob Fosse – with Tim Holtz® plastic sticker letters. 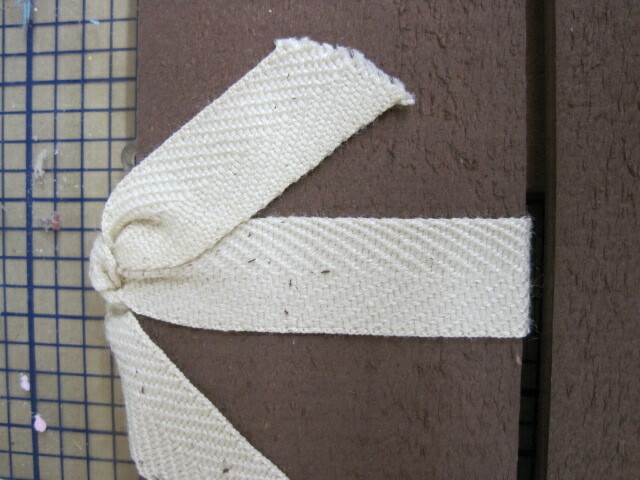 I found a fun embellishment from Jennifer Heynen and used a screw eye to hang it in the square opening. 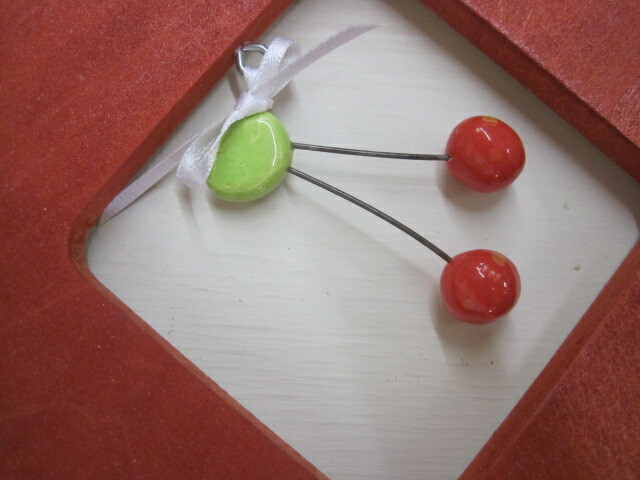 Secure the screw eye in the square opening and tie the hanging cherries with a scrap of white ribbon. So easy and so fun to make. I think there are just a handful of people who haven’t read The Help written by American novelist Kathryn Stockett. And of course, I think everyone loves Aibileen. When it was time to design some of the many items in the new Rustic Pallet Program, I knew that I wanted to add a quote or two to a couple of the pieces. The lines from Aibileen had really stuck with me, so it was time to use her quote. I started the project by spraying the piece with Krylon Satin Leather Brown. 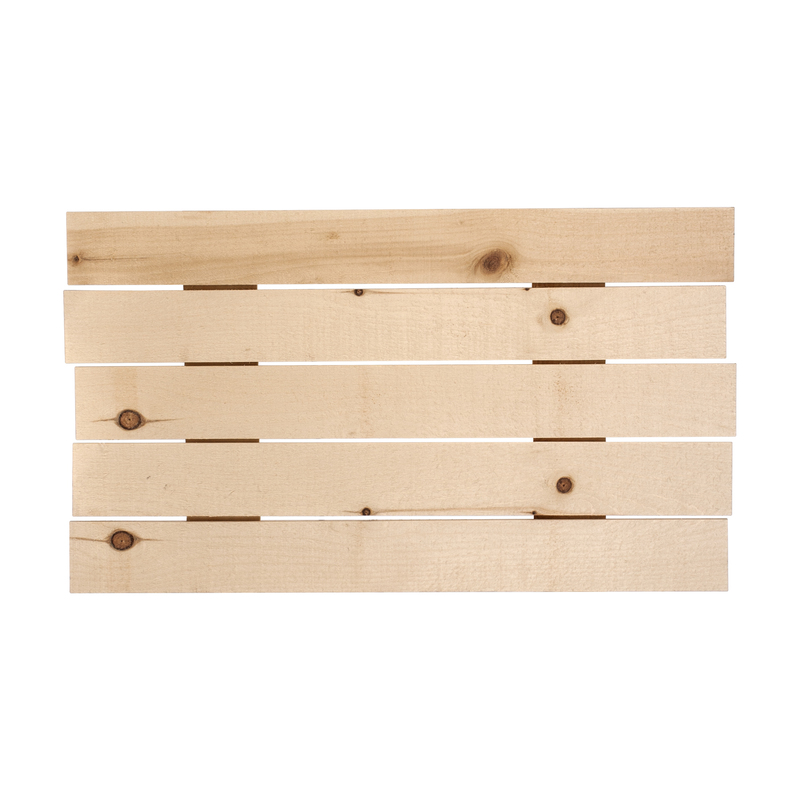 I love the great coverage you get with the Krylon spray – it’s just not worth it to try to paint the slats with a brush. 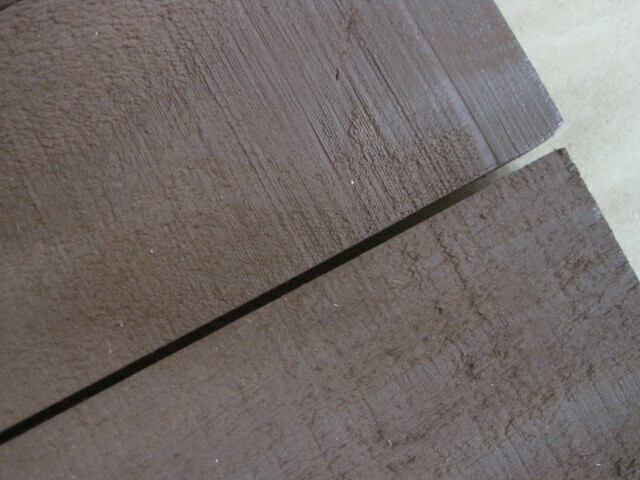 Spray a couple of coats onto the Rustic Pallet, drying thoroughly between coats. I placed the laser cuts from Michaels to add a nice touch. I used Tombow’s MONO Multi Liquid Glue to hold everything in place. 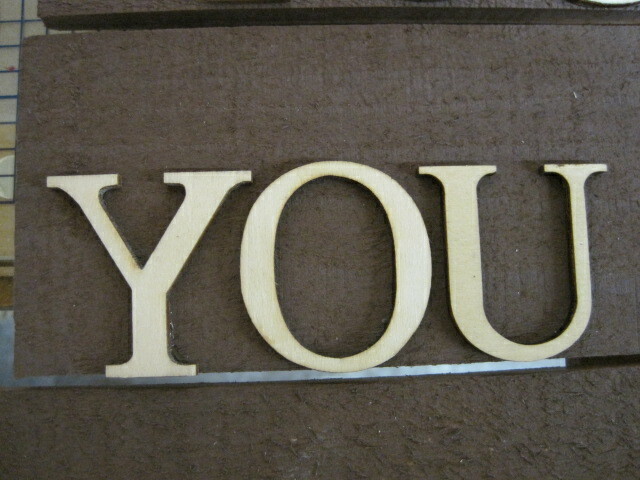 To keep the rustic look to the piece, I used natural twill tied on the top slat so I could hang the quote on the wall. 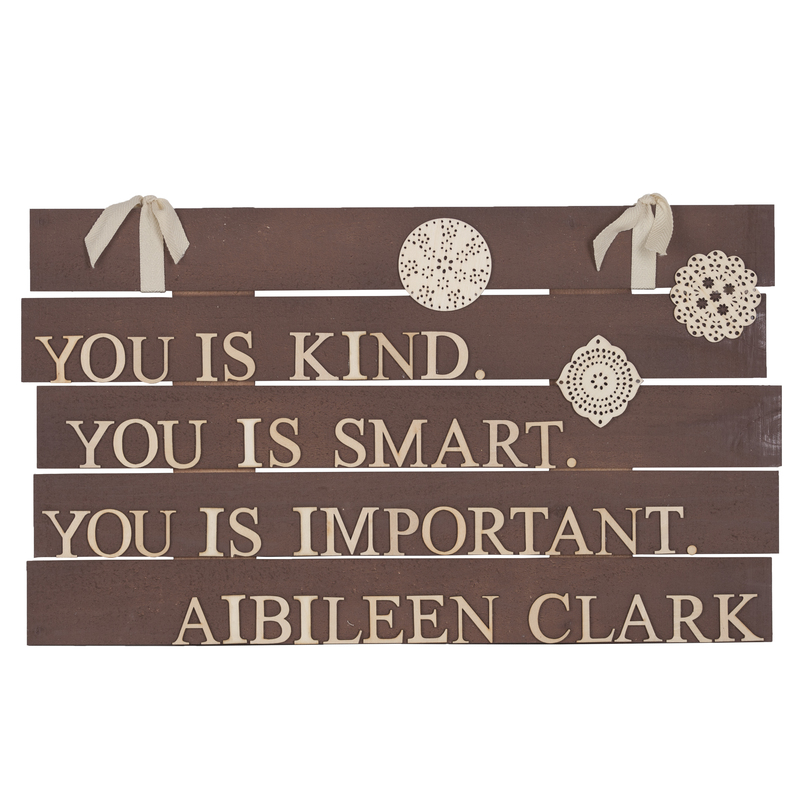 A very easy project………with a great message for everyone from Aibileen!